The Menzies City Learning Centre (CLC) building is an environmentally aware, robust, and economic design. 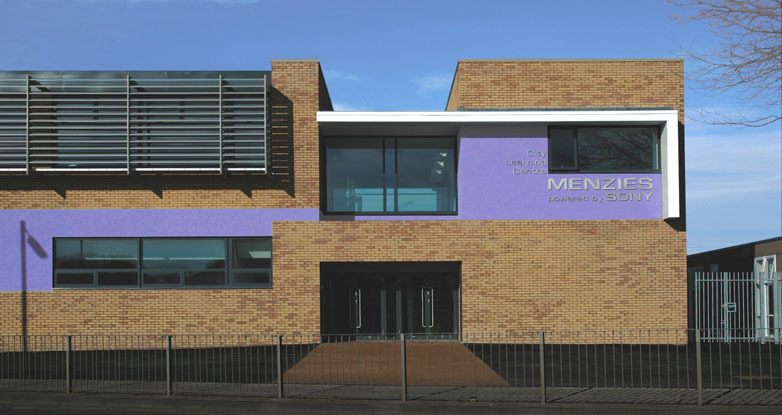 The building sits on an awkward triangular site between the Menzies 6th Form Centre and Clarkes Lane and provides a landmark building for the campus. All the existing buildings on the site sit well within the boundary and are introverted. The CLC address’s the road as befits a building which is to be partially used by the community. The main entrance is a light and airy double height space with minimal glazed bridge links across the space. 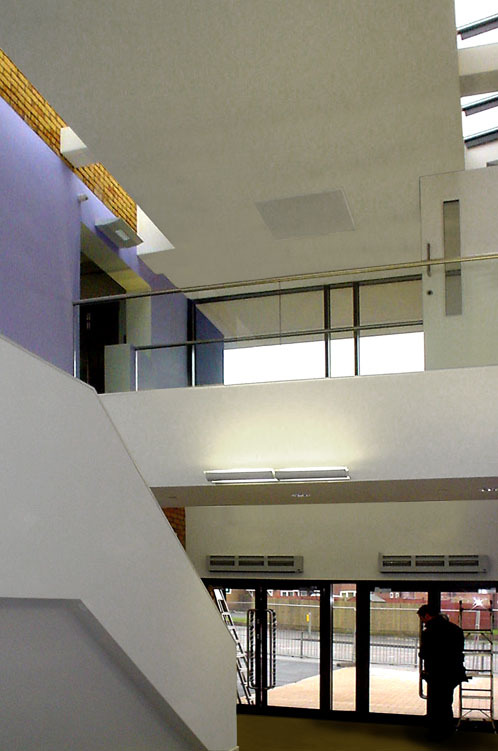 This space contrasts strongly with the existing low spaces within the school and more appropriately reflects the CLC’s status as a gateway public building. 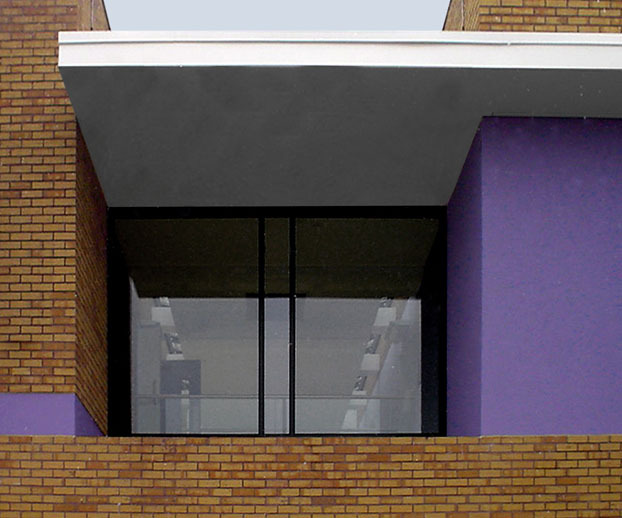 The CLC follows sound environmental principles to provide a low energy building with low running and maintenance costs. The main entrance façade faces South and has full length glazing on the first floor to the Flexible Learning Spaces. Full length bris soleil (solar shading) on the southern façade overcome problems with glare and solar over heating. Daylight is used to light the ground floor toilets even though security concerns precluded the use of any windows in these spaces. ‘Sunpipes’ are used to transmit light gathered from the roof through highly reflective tubes to the ground floor. Again artificial lighting is reduced in these spaces which reduces the energy consumption of the building. The power of the sun is also used to directly supplement the energy requirement of the building through the use of roof mounted solar panels. These face due south and are mounted at 15 degrees to horizontal to maximise their effectiveness. 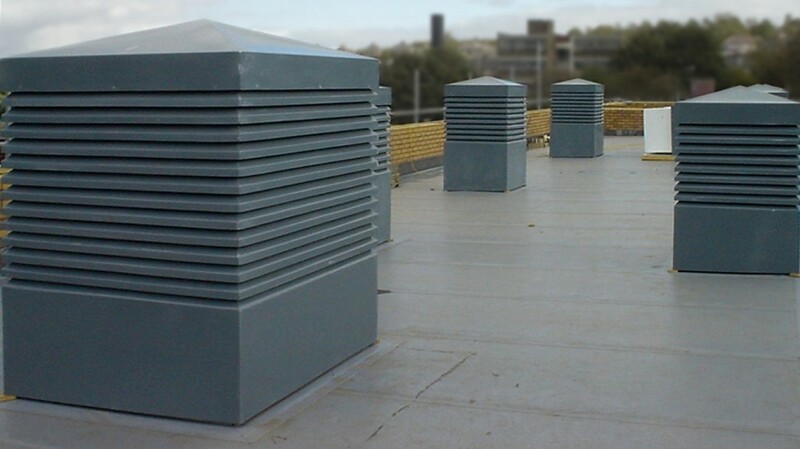 The building is predominantly naturally ventilated by the use of a series of roof mounted ‘Windcatchers’. These use the natural power of the wind and the pressure differential to both extract stale, hot air and provide fresh cool air. The system is controllable and also includes night time cooling to cool the fabric of the building over night. Again this reduces the energy consumption of the building. Security is a major concern with all school projects. The requirement that ground floor windows should be kept to a minimum is in conflict with the aspiration that the building should be light and airy and be architecturally stunning. These later requirements usually lead to the use of a lot of glass. To try and address all of these concerns we have located all the computer spaces on the first floor and all the spaces which do not require windows on the ground floor, such as the performance space, recording studio, toilets etc. The windows which are needed on the first floor are protected by the solar shading which doubles as an access / maintenance walkway. The strong linear form of the solar shading, which is finished in anodised aluminium, provides a strong architectural statement and a ‘high-tech’ image without the extensive use of large areas of unprotected glass.